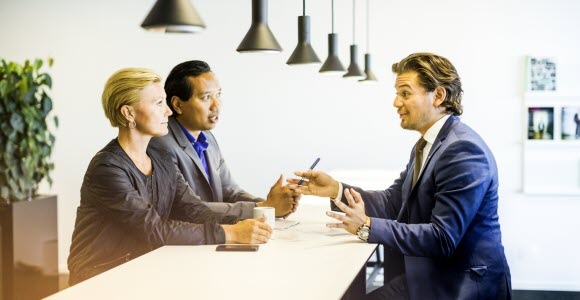 At Skandinaviska Enskilda Banken S.A. (SEB) we view customer complaints as an opportunity to continuously improve the quality of our services as well as our organisation and internal processes. We aim to satisfy our customers. We have clear procedures and responsibilities for customer complaints to safeguard a consistent and customer focused handling. We endeavor to treat customer complaints fairly and diligently. We have a two-step procedure in place to handle customer complaints. First, if you are not satisfied with any information or service provided by us, please contact your dedicated private banker or relationship manager. The more information you provide us with regarding when and with whom you have been in contact at SEB and the outcome of such contacts, the quicker and more efficiently will we be able to handle your complaint. We will do our utmost to resolve your complaint promptly. The receipt of your complaint will be acknowledged within ten (10) business days, unless we have by then already responded to the actual complaint. We will gather and investigate all relevant evidence and information on your complaint and will provide a response to you in writing without undue delay and in any case, within one (1) month from the date of receipt of the complaint. If we cannot give you an answer within this period, we will inform you in writing of the reason for the delay and will indicate the date when we expect to be able to respond. For payment services related complaints, we will reply to your complaint within fifteen (15) business days and, in case of exceptional circumstances beyond our control, this deadline may be extended to thirty-five (35) business days. If you decide to apply the above procedure with the CSSF, we commit to cooperate with the CSSF to help resolve the complaint.